Save up to 50% off huge brands including famous British brands such as Parker Knoll and G Plan as well as trusted foreign brands such as La-Z-Boy, Sisitalia and Endurance. Browse thaese collections now and fill your home with quality furniture at low prices. Where do I use my SCS voucher code? Add your sofa to your basket and when ready to proceed, click 'View Cart'. Under 'your shopping Basket' summary you will see a 'Do you have a promo code?' box. Enter your code and click 'Apply' to adjust your order total with your discount. Choose 'Pay monthly' or 'Pay now' to continue with your order. To hear about the latest discount codes and special offers sign up to receive the newsletter. SCS are sofa specialists and with over 40 years in the business, they certainly know their stuff! Stocking a huge choice of Fabric and Leather Sofas, they also offer a huge range of Carpets and Flooring all at affordable prices. 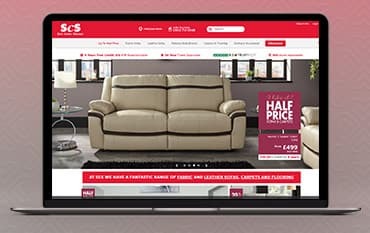 With an interest-free credit option on selected orders and Free Delivery available, it's easy to see why SCS is one of Britain's favourite sofa suppliers. The SCS collection of sofas and chairs is nothing short of fantastic! With products available in a variety of fabric colours, sizes and styles, you are sure to find something you love at a price you can afford. SCS also offers numerous unit and cushion options for added comfort, as well as matching extras to complement your living room such as footstools and twister chairs. As well as stocking a variety of fabric sofas and leather sofas you can also find 1 seaters and reclining chairs. At SCS, discover sofas and chairs from big name brands such as La-Z-Boy, G Plan and Parker Knoll, so you can expect nothing but high quality and long lasting furniture. Turn your living room into one you have always dreamed of at a price which won’t frighten you off. Check here for all the latest SCS discount codes and you could walk away with the sofa you’ve always wanted at a price you can afford. Having an extra bed in your home doesn't have to come as an inconvenience or even take up a lot of space, as with a Sofa Bed from SCS, you’re ready to simply pull out and go! If in need for an extra bed for overnight guests, a Sofa bed is your quick and easy solution saving both money and space in your home. SCS have hand-picked a selection of double-sided fabric & leather sofa beds made from the highest quality fabrics from around the world to offer maximum comfort and great nights sleep. With such a wide range of Sofa Beds to choose from including a choice of styles and colours, you are sure to find something to suit the style or decor of your living room, spare bedroom or conservatory. Check out the collection of sofa beds today at SCS, and browse our selection of offers to save yourself some extra cash! 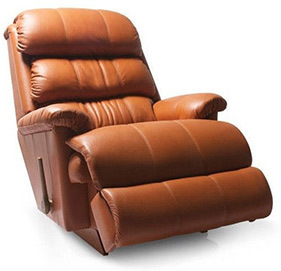 As one of the most famous and iconic brands in the US for over 85 years, La-Z-Boy has earned a trusted reputation for producing the finest quality recliner sofas & chairs, static sofas & chairs and remains at the forefront of upholstery design! They’re proud to produce the world’s best-selling ranges of sofas and chairs in their industry. You can find the latest models designed exclusively for SCS! With Each La-Z-Boy sofa and chair carrying a 20-year guarantee on the robust frames and the steel springs you can guarantee if anything goes wrong, you will be covered! You can even make your La-Z-Boy sofa and chair more affordable by taking advantage of the 4 years interest-free credit offer! Start browsing the La-Z-Boy collection today. We don't provide our own collection service but you will find some recycling suggestions on the "old sofa removal" page on the website. Do you provide a measuring service for carpets? Yes we offer a premium Saturday delivery service. There is a premium charge of £79 for addresses with 30 miles of an SCS store or distribution centre. ScS is proudly home to an extensive range of home and garden furniture, specialising in sofas & carpets. You could also save money by using one of our ScS Voucher Codes on a range of products including leather sofas, fabric sofas, corner sofas, recliners, sofa beds, flooring, rugs and so much more! Low prices along with a range of credit options make it easier for you to kit your home out with furniture which you love at a price you can afford! Choose from a wide range of Fabric and leather sofas, carpets and flooring to suit all tastes and budgets. ScS have over 100 years of experience and their specialist sofa and flooring staff are highly trained in their field, so they can guarantee you the best service whilst you choose your new furniture. With a wide range of fabric and leather sofas to choose from, including major brands such as La-Z-Boy, G Plan, Parker Knoll, Sisi Italia and Endurance you can be sure to find something you’ll love at ScS.